Working remotely sounds like a dream come true for a lot of people. No office politics, working in your PJs, taking an afternoon break for a yoga class, or even working on vacation. Perfect, right? The truth is that remote work is pretty perfect (at least as far as I’m concerned), but it’s not necessarily as easy breezy as outsiders sometimes think. 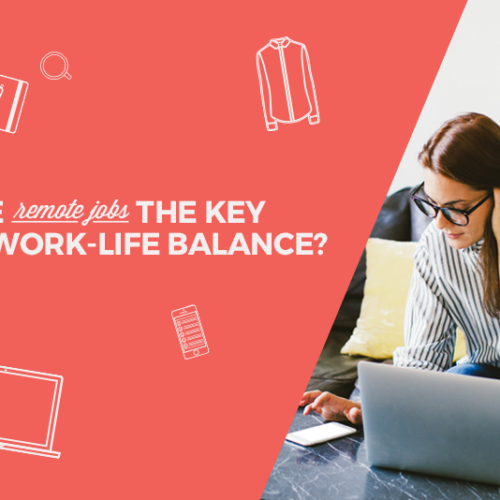 In fact, since you usually don’t have a boss looking over your shoulder to make sure you’re working—and the lines between “home” and “office” can get pretty blurred— remote work can actually be more challenging to get right than a typical desk job. For example, it’s easy to get sucked down rabbit holes and get unproductive. And there can be a major learning curve when it comes to taking meetings remotely and communicating with coworkers. But, oh man, is it worth getting right! I’ve been working remotely for years, and I can’t imagine ever going back to a traditional working environment like an office. And I get so much more done every day than I ever did when I was commuting. Over the years, I (and everyone else at Skillcrush) have learned a thing or two about what it takes to successfully work remotely. Don’t worry, it’s not über complicated or anything. But it does take some planning ahead and a little tweaking till you figure out how it works best for you. 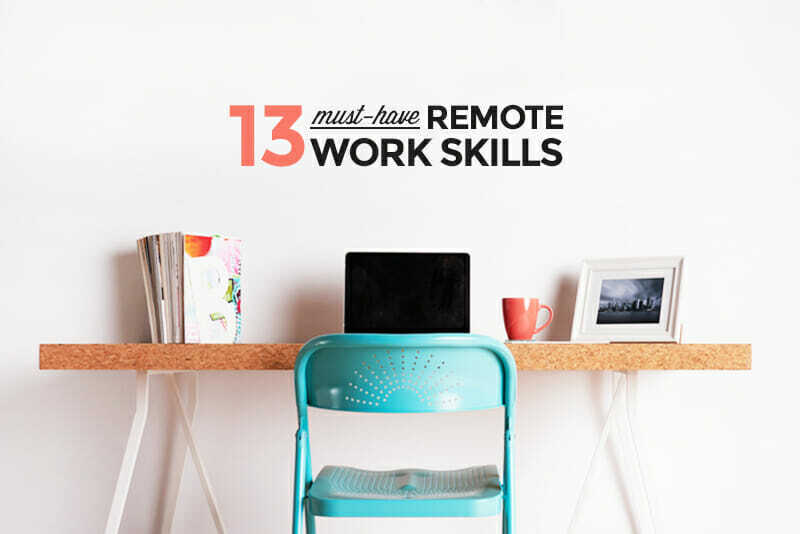 Below are my 13 tips for working remotely straight from the Skillcrush team—with ALL the details after the infographic! Ready to give working remotely work a try? 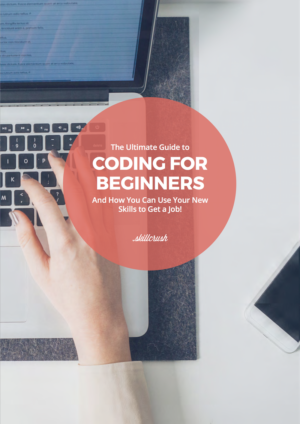 Check out the FREE Ultimate Guide to Getting a Remote Job You Love for tons of helpful tips! One of the coolest things about working remotely is that you often don’t have to punch a time clock at a particular time every morning. Prefer to wake up early and get a jump start on your day by 7AM? Go for it! Or maybe you’re a night owl and get most of your work done after dinner. That’s okay, too! There are some remote jobs where you’ll need to have more of a set schedule (customer support comes to mind), and you’ll probably have some meetings you need to attend at times that work for the whole team, but outside of those commitments, you can usually set your schedule in a way that works for you and your most productive times. For me, that means starting work sometime around 9 every morning (my first meeting is generally at 10), but then I regularly take a few hours off in the afternoon and evening before hitting work again late at night (usually after 8). Grouping a bunch of meetings and appointments together with only short breaks in between leaves you with longer stretches of uninterrupted time outside of those meetings to actually get your work done. Think about it: if you take an hour break between meetings, you don’t really have a solid hour to do work. You’ll want to refill your coffee or grab a snack, take a quick bathroom break, maybe stretch your legs, and then pretty soon you’ve only got a half hour left in your “hour”. Instead, putting meetings back-to-back tends to make you break up those between-meeting tasks (stretch your legs between the first two meetings, refill coffee before the third, bathroom break after that, etc. ), leaving you with more uninterrupted time when your meetings are done (or before they start). Just because you “work from home” doesn’t mean you only work from home. Instead of just working at your desk every day, consider switching up where you work. Find a coffee shop with wifi (or use your phone’s hotspot). Maybe there’s a coworking space in your city that you could use. Or even sitting on your porch instead of at your desk can give you a whole new energy about what you’re doing. One tip: resist the urge to work in bed. It’s fine if you’re sick or late at night/first thing in the morning. But, at least in my experience, working from bed almost never results in being more productive. Working at your kitchen or dining room table can seem logical. But that means any time you want to use your table for other things (like eating, or a game night with friends), you have to clean up and put away your work. At the very least, figure out where you can put a dedicated desk that isn’t used for anything else. If you have a spare room to use for an office, even better. But even a closet or unused corner of a room can work great! It can be so tempting to stay in your PJs all day when you don’t have to leave the house. But getting up in the morning and starting your work day the way you would if you were commuting to an office is a boost to your productivity. It helps signal your brain that it’s time to work, not rest and relax. Now, that doesn’t mean you need to get up and put on an outfit you’d wear to the office. The point is to just have something you wear for work that isn’t the same thing you wear to bed. Yoga pants, jeans, t-shirts, and—yes—hoodies, are all fine options. And if you want to dress up beyond that, you totally can. Wear a ballgown if it’s what suits your fancy! You won’t have to worry about coworkers judging you for “overdressing” (unless you’re doing video chats, of course). A standing lunch or coffee date with a friend. Regular evening outings to break up your schedule. A mid-day yoga class. Anything that gets you out of the house and around other people on a regular basis is a good idea when you’re working remotely. It’s so easy to slip into becoming a hermit when you don’t have to leave the house. But if you’re not an introvert, isolating yourself all week long is a surefire way to burn out quickly. And even introverts benefit from getting out and seeing other people on a regular basis. If you work with a remote team, chances are that you’ll be doing video calls at least occasionally. For a long time, I only worked remotely as a freelancer, without a team. When I joined Skillcrush last year, I had to get used to working with a team again (which was easy since my team here is so awesome! ), and one of the biggest things I had to adapt to was daily Google Hangouts. My biggest tip is to make sure you have a pair of headphones you like! I use the ones that came with my iPhone, but different people on my team have a variety of preferences. When you don’t have coworkers interrupting you, it can be easy to stay at your desk way longer than is healthy. Make sure you schedule in some regular breaks where you get up from your desk and move around. That might mean grabbing more coffee, taking a short walk, or moving from one work location to another. If you have issues with remembering to take breaks, set a timer for yourself. The Pomodoro Technique can be a great way to schedule these breaks into your day! If you use a team chat program like Slack or HipChat, learn to use (and embrace) its “Do Not Disturb” function. This turns off your notifications and lets your coworkers know that you’re busy and not available. Even if you don’t use a team chat app, letting your coworkers know that you’re unavailable at certain times of the day because you’re busy working is totally fine. Consider it like closing your door in an office so you can work uninterrupted. Looking at your to-do list at the beginning of the week and planning out what you’ll get done when is a great way to stay on top of your work. Figuring out when your meetings are, when you’ll have uninterrupted blocks of time for getting work done, and when you have personal and social obligations can make your week way less stressful. Plus, blocking out time on your calendar for the actual work you need to get done will help prevent coworkers from trying to schedule all your available time with meetings. When you’re working solo a lot of the time, you’re much less tied into the way other people expect you to work. If you want to blast heavy metal while you power through some design work, watch classic episodes of Murder She Wrote on Netflix while you’re writing an article (guilty…), or do fifteen jumping jacks between each tasks, you can do that! The entire point is to figure out what helps you get work done and then do it! You don’t have to worry about disturbing others (unless other people are home at the time) with your weird, er, effective, work habits when you work remotely, so take advantage of it. 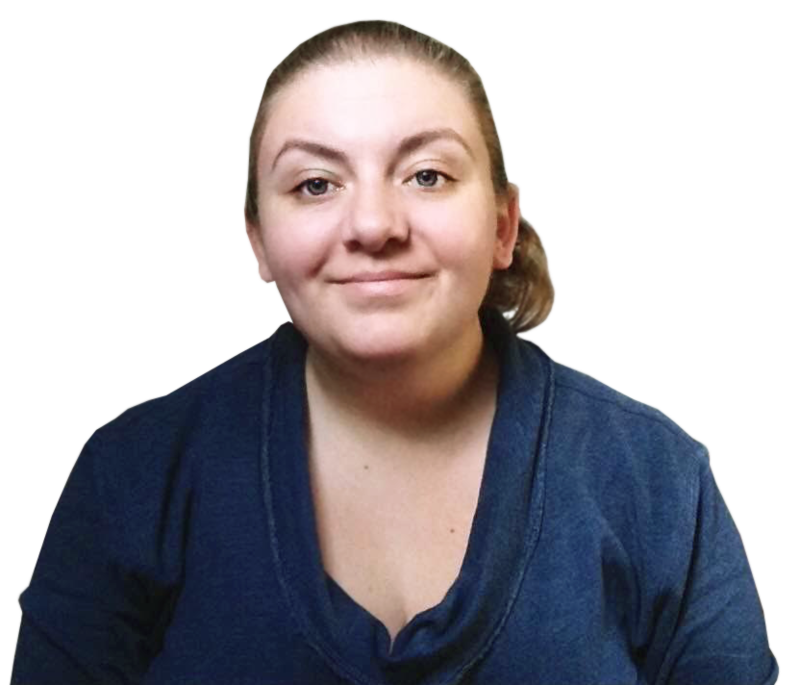 Working in a completely silent space can make you feel super isolated sometimes. But that said, some music (or other background noise) may not be as conducive to working as others. For me, I’ve found the Hipster Cocktail Party playlist on Pandora is great for working. Who knew? I’ve also found really overplayed pop music from the 90s can be great to get my brain going. If you work with a team, try to make sure that you’re purposely engaging with that team every day. At Skillcrush we have daily “stand-up” meetings (done in Google Hangouts), but I also keep in touch with my team on HipChat, through email, and in other meetings at various times during the day. And the whole company participates in a chatroom that’s our version of a virtual water cooler for posting things that aren’t work-related but that the team will appreciate (let me just say that there are a TON of animated GIFs in that room). 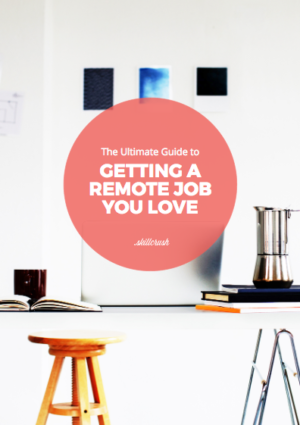 If you think remote work might be for you, be sure to check out the Ultimate Guide to Getting a Remote Job You Love. 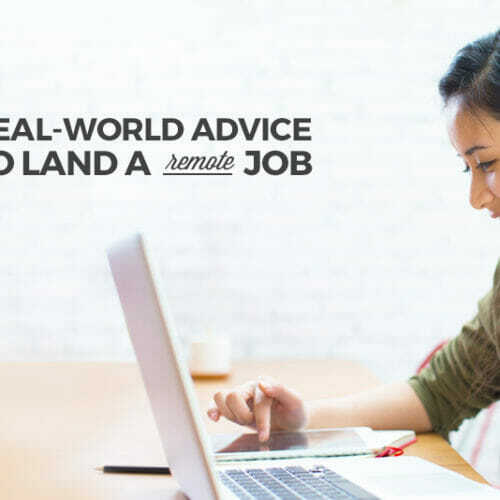 You’ll find out the first steps you can take TODAY to get ready for the remote job market, what a day-in-the-life of a collaborative remote team is like for 7 real remote workers, and more.